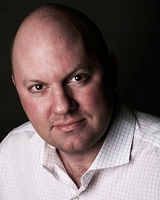 Marc Andreesen 9 July 1971 American Lowell Andreessen Patricia Andreessen Entrepreneur, Philanthropist, Programmer, Author, venture capitalist, Software Engineer American Entrepreneur, investor and software engineer, he is the Co-author of Mosaic, Co-founder of Netscape, Ning and Co-founder and general partner of Silicon Valley venture capital firm Andreessen Horowitz. He founded and later sold the software company Opsware to Hewlett-Packard. A list of popular marc andreesen quotes are given below.